Two thoughts looped through my head as I recovered from an appendectomy in Mexico. The first was how glad I was to have Mexican friends. The second was that I spoke some Spanish. The latter statement could also be written as a dependent clause. I mentioned in my previous post how one of my Mexican girlfriends texted through her social network to find out how much Mexicans pay for the exact surgery I had in the specific hospital where it was performed. Girded with that information, I was able to negotiate the bill. Surgery and hospital costs are just one of probably hundreds of situations where native friends can give you the real, that is Mexican price of things. Every hour you sit down to study Spanish maybe you should pretend someone is giving you $20. While I still have bad feelings about the experience. I relish the fact that I am linguistically capable of fighting over a bill without interpreters. A good part of my rabble-rousing during my stay was experimental. I want to see what one does should he/she be dissatisfied or needs help, and how staff would react to be able to report it back to you. Once home, recuperating in Mexico ws far easier than at home. Whereas in the U.S my friends undoubtedly would have called and asked if I needed anything, I would have replied, “no, I’m fine. Thanks for asking." Most of us in the U.S. aren’t that good at asking people for help or imposing, that's part of the American cowboy culture of independence and self-reliance. In Mexico, my Mexican friends showed up unannounced and without permission. They came with bags of fruit and vegetables. They cut them up to be more ready for cooking and did all this without asking if I wanted them to do it or where the knives and cutting boards were. Mexico has some foods we aren’t used to in the U.S. Some I didn’t even know if I needed to peel. They told me the best way to eat and prepare them, and what their healing qualities were far more efficiently than Google ever could (as if I were in the mood for doing Google research). While I never would have bought unfamiliar fruit after an operation myself, when someone buys and delivers it to your kitchen, then shows you what to do with it and why it’s good for you, using it takes on a urgency. If you lack Spanish, you probably won’t ever be put in a life-threatening situation because of it. Most medical professionals speak enough English for their jobs. When you arrive to the hospital, it is international law that they need to provide an interpreter if you need one. However, when I told nurses doing routine things that I did speak Spanish, I could see palpable relief on their faces, and they switched from being formal to being able to talk to me normally, although I did have to inject an occasional “mas despacito,” por favor,” (a little more slowly, please) when they really got going. Once home, Spanish enabled me to call a pharmacy and have my medications delivered. Without the Spanish, I would have had to actually put on real clothes and drag myself to the pharmacy. One of the drugs was a controlled substance. I was able to talk them into delivering it anyway. When they first said no, I just kept asking in different ways (“Maybe I should explain the details of my operation to you! Why I can’t sleep? Let me describe my scar!”) Eventually I wore them down (just like old boyfriends). View from rehab at home...I was able to put up with it. This is one of the things you will love about Mexico. If something makes sense and you look rational, people will generally go for it. You don’t have to deal with the infuriating rules for the sake of rules you as often do in the United States. This is what makes Mexico a freer country and why people often say that Mexico is like the U.S. was in the 50's. Mexico is more likely to treat you like a responsible grown-up and leaves it up to your friends and family to treat you like a child. As long as I could give the delivery guy the prescription when he arrived with my order, they would deliver the drugs. What difference did it make if I gave the prescription to them in my apartment doorstep or at the pharmacy? We have lost our common sense at home and are ever the dumber and more inconvenienced for it. The one thing I will admit is that negotiating for drug delivery over the phone was difficult. Pronouncing drugs’ name can be challenging. On occasion, I have said something to a Mexican face-to-face, and been understood perfectly only to turn around and repeat the same thing word-for-word over the phone and be told they couldn’t understand a word I was saying. My accent is probably excruciating to listen to over the phone whereas only mildly annoying in person. My piece of advice to you is to learn how to spell things out in Spanish. I still haven’t learned how to sound out letters to a word and pay for that little rebellion constantly. I had less than three years practicing the language when I had my surgery there. This proves conclusively that anyone, including blonds over 55, can learn a second language reasonably well in a pretty short period of time. It also proves you might need it for more than getting your house cleaned and ordering a second round. Next up: Look for Uber when you are considering cities...it's just as interesting in Mexico as it is at home. Most recent: Wonder what could happen if you hadn't found a doctor yet and a medical emergency came up? Just ask me! 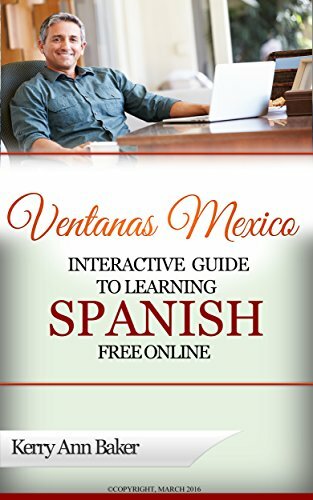 Kerry Baker is a partner with Ventanas Mexico and author of the "Interactive Guide to Learning Spanish Free Online," a smorgasbord of free online tools and lesson plans to make every day learning Spanish unique. 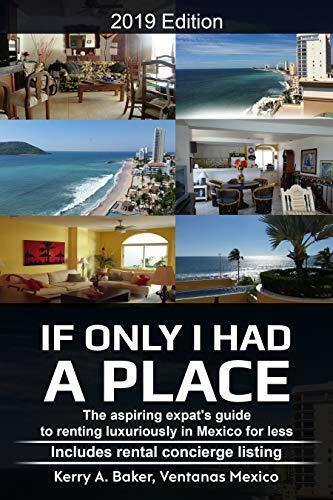 She also recently released "If Only I Had a Place," on the unique aspects of renting in Mexico as an aspiring expat.